Hanging Picture Frame | happy.harvey.home. I LOVE, LOVE, LOVE pictures. I have pictures all over our house. Honestly I don’t think I know how to decorate without pictures. One of my favorite pieces in our home is this gem which I found on Etsy. 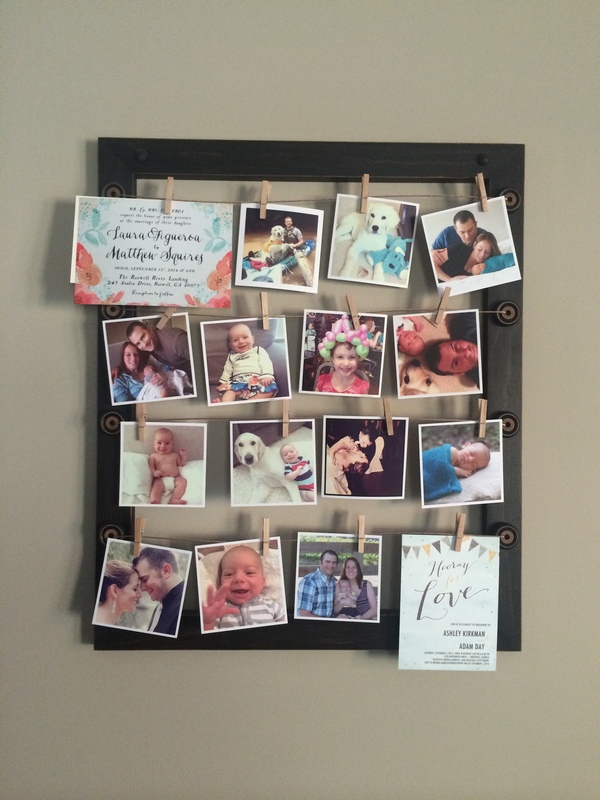 It’s the perfect combination of style, functionality and a great way to display lots of pictures (and invitations) without one of those ugly collage picture frames. I’ve found that printing off your Instagram pictures works well so you have the perfect size picture without your frame being overloaded. I love Printstagram for printing all of my Instagram photos. $12 for 24 square pictures mailed directly to your home. Love it! This entry was posted in Etsy, Home Decor by annettelharvey. Bookmark the permalink.